Many people want to know the truth about their dog and to know exactly what their dogs heritage is. And the number of dog owners now using a dog DNA test to determine the overall genetic makeup of their dog is increasing exponentially. Are you curious about your dogs ancestry too? The availability of these tests clearly shows how important it is for people to know the answer - so they have one of these done for their dog. Today technology has made it possible to do these assessments right in the comfort of your own home. You no longer have to spend lots of time and cash going to the vet’s office so as to determine your dogs exact breed information. You may not know it, but here are several Dog Breed Identification kits available, which offer the most dog breed options. The following is a quick review of some of the most popular DNA products available today if you are looking to get absolute DNA proof for your own pets background. 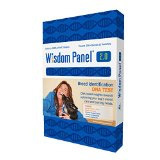 This test kit is gaining popularity among many pet owners who want to determine the genetic blueprint of their dogs. Basically, the need for this Dog Breed Identification analysis stems from multiple factors. Foremost, the test offers a way to precisely identify the breed composition. In many ways a dog’s genetic makeup enables the owner to have a better understanding of its ancestral heritage. This understanding will enable you to possibly better manage your pet as well as train it in a manner that more clearly fits its nature since some breeds learn in different ways than others might. When presented to a veterinarian, such results can also allow you to design a diet chart and exercise plan that will work well for your dog breed. The sample collection is quite simple. With the swab included it only takes 2-3 weeks to get the results. 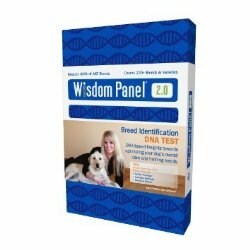 The kit allows you to test: Mixed Breeds, Purebreds and Designer Dog breeds too. This Mixed Breed kit involves the collection of samples from your dog’s cheek, which are then mailed to the laboratory for detailed testing. Care should be taken not to feed your dog 2 hours before doing the test when using this particular kit. The product is quite easy to use and answers some basic questions. Unlike most products, it provides a more comprehensive mixed-breed DNA option that allows you to deeply understand your dogs mixed-breed ancestry. Once released, the results will provide you with detailed information regarding your dog’s relatives. With it, you can also come up with the correct training exercises that perfectly accommodates your dog. You will have a better understanding of your dog's behavior and temperament as well. Additionally, it will allow you to plan effectively regarding the dietary and nutritional requirements for your dogs specific breed(s). Designed for dogs of all ages, this Purebred related product uses cheek swab samples too. It is specifically meant to suit the needs of those dog owners looking for an affordable and do-it-yourself option that tells whether your dog is a purebred or not. Following collection, the sample is mailed to the laboratory and will take 2-3 weeks for it to be tested. Once the results are generated and the report is available for download, you will be provided with an ancestry tree that includes all the generations up through the great grandparents of your dog. This information will provide you with more complete understanding of the genetic makeup of your dog for that specific breed. With this information, you can do many things such as to develop a more effective training plan for you dog. It will allow you to determine the correct exercise and play activities that will accommodate your dog's natural behavior. Furthermore, it will be easier to customize your dog's nutrition and diet plan in accordance to the dog breed's specific needs. This kit employs the use of cheek swab samples as well. This collection technique is quite advantageous, especially in its simplicity as well as the ability to be performed right in the comfort of your home or any place that you choose. With it, you will be able to discern the behavior, wellness needs as well as the unique appearance of your dog. The best thing about this test is that it provides adult weight range predictions. This proves essential as it will enable you make the correct nutrition and diet choices for your dog in the various stages of its life. This test provides a good understanding regarding the breed of your dog, which will help you in determining the correct training program as well as knowing more what to expect behavior-wise from your dog. Its great versatility will enable you to test Mixed Breeds, Designer Dog breeds or purebred ancestry all the way back to great-grand parents. However, lots of care should be taken so as to avoid risk of contamination when doing this, or any other kinds of DNA testing. The above Dog DNA testing products offer an inexpensive and more effective way to discerning the genetic makeup as well the ancestry of your dog. 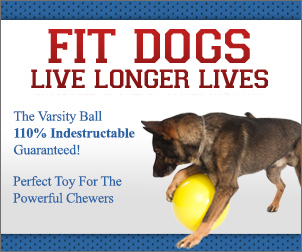 They make it possible for you to come up with the correct diet and exercise plans that will suit your dog’s behavior. So it’s up to you to select the one that will best suit your needs.